I heard there is a new passport card. Does it replace the passport book? How can I get one? No, the new credit-card sized Irish passport card does not replace the passport book. You can use the new passport card for travel within the European Union, the European Economic Area (Iceland, Liechtenstein and Norway) and Switzerland. For all other travel you must use your passport book. To apply for the passport card you must be aged 18 or over when applying. It is not available for children. You must hold a valid Irish passport book and the personal details you provide when applying must be exactly the same as those on your passport book. The card is valid for a maximum of five years or for the time remaining on your passport book if this is less than five years. You can apply for the passport card online on the Department of Foreign Affairs and Trade website, dfa.ie, or you can use the Department’s passport app for smartphones and tablets. The card costs €35 and there is an additional delivery charge of €5 if you are applying from outside Ireland. You can track your application’s progress on the Department’s website using the application number issued when you apply. Our puppy has an identification disc on her collar. Does she need this, or should we just get her microchipped? What are the rules? Under the Control of Dogs Acts 1986 and 1992, dogs must at all times wear a collar with the name and address of the owner inscribed on it or on a plate, badge or disc, so you are right to have an identification disc on your puppy’s collar. However, you must also get her microchipped and registered on an authorised database under the Microchipping of Dogs Regulations 2015. Since September 2015, all newborn pups must be microchipped and registered. From 31 March 2016, the Regulations will apply to all dogs. Even if a dog has already been microchipped (for a pet passport, for instance) it will now have to be registered on an authorised database as well. The microchip can only be implanted by a vet, a veterinary nurse or a person who has been trained by one of the authorised databases. The microchip contains a unique 15-digit number. When you register with an authorised database, this number will be recorded on it along with your name and address details. This means that, if your dog goes missing and is found, you can be identified as the owner and be reunited with your dog. If you move house, you will need to update your contact details on the database. If you plan to buy a new dog, the seller will have to give you its certificate of registration and you should forward it to the relevant database to get the details updated. The Department of Agriculture, Food and the Marine has published a list of authorised databases, along with a set of Frequently Asked Questions on agriculture.gov.ie. What are the new employment rights structures? How can I make a complaint about my employer? Since 1 October 2015, the organisations involved in employment rights enforcement are the Workplace Relations Commission and the Labour Court. The Workplace Relations Commission (WRC) is where all complaints are first made. All hearings are now heard by a single WRC adjudicator. The Labour Court deals with all workplace relations appeals, so you may appeal to it against the decisions of an adjudicator. If you wish to make a complaint about breaches of employment legislation you must use the online complaint form available on workplacerelations.ie. You use the same form to make complaints about breaches of equal status legislation. However, for equal status complaints, you must first (in writing) notify the person or organisation that you are complaining about that you plan to lodge a complaint against them. When you fill out the form you will be asked for contact and other details for yourself and your employer. You will be asked to indicate the general area in which the complaint falls (for example, pay, hours of work and so on). Then you will be asked to select the nature of the complaint. For example, under pay it may be non-receipt of a payslip. You will be asked for some other details. You will need to set out your complaint in your own words. When you have completed the form you can submit it electronically to the Workplace Relations Commission. You can read a list of frequently asked questions about making a complaint on workplacerelations.ie. If you need information about employment law and your employment rights you can contact the Workplace Relations Commission’s Information and Customer Service. My husband is getting a payment for me with his pension. My mother is in poor health and I have been caring for her for the last year. Can I qualify for a carer’s payment and how will it affect my husband’s pension? If your husband is claiming an Increase for a Qualified Adult for you with his pension, you can apply for a half-rate Carer’s Allowance. If you qualify, you can keep the Increase for a Qualified Adult in full. This will not affect your husband’s pension. You must meet the qualifying criteria for Carer’s Allowance. For example, your mother must require full-time care and attention and you must satisfy a means test. 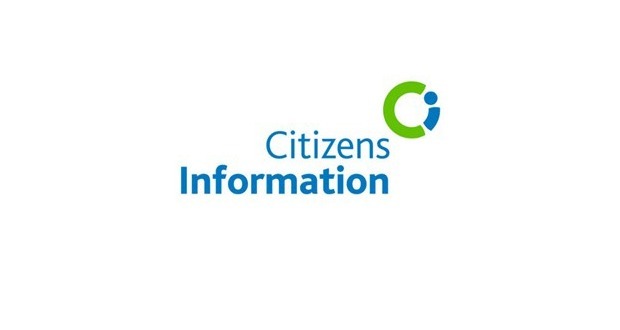 You can read more about the conditions for Carer’s Allowance on citizensinformation.ie. To apply fill in an application form for Carer’s Allowance (CR1). You can get this form online or from your local Intreo centre, social welfare local office or Citizens Information Centre. The form includes a medical report, which must be signed by the person receiving care and completed by their doctor. Note that the application form for Carer’s Allowance asks for a lot of detailed information from you. The Department of Social Protection has to work out your income and the income of your husband to assess the means of your household. The Department must also examine the medical condition of your mother to decide if she needs full-time care and attention. In addition, the Department must be satisfied that you, the carer, are providing full-time care and attention and are able to do so. You can get help with filling in the form from your local Citizens Information Centre. If you satisfy the conditions for Carer’s Allowance it will be awarded at half of the rate that would apply if you were not getting any other payment. You will also be eligible for the Respite Care Grant and a Free Travel Pass.